If you are thinking about joining the trend in our communities to preserve food this summer, start planning and preparing now! Start by checking your equipment and supplies. Proper equipment in good condition is required for safe, high quality home canned food, for example. If you’ve not yet purchased your needed equipment, there are two types of canners to consider: boiling water canners and pressure canners. A boiling water canner is used for canning acid or acidified foods like most fruits, most pickles, jams and jellies. 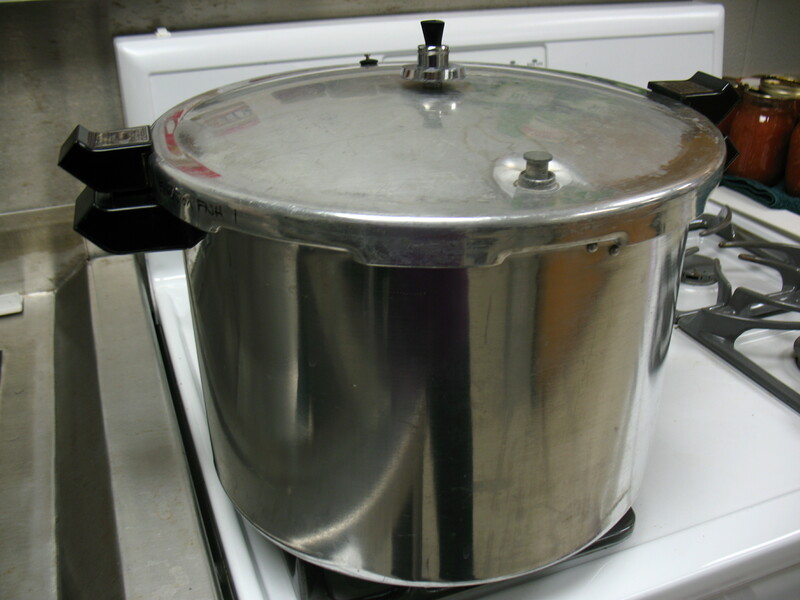 Boiling water canners cost about $30-$100, or can be assembled yourself with a large stock pot, secure lid, and rack to keep jars off the bottom of the pot. A pressure canner is essential for canning low acid foods such as vegetables, meats, fish, and poultry. Temperatures inside pressure canners reach higher than boiling water canners (for example, 240°F and above as compared to about 212°F). This is necessary to follow the tested processes available to be sure and kill the toxin–producing spores of the bacteria Clostridium botulinum. If not killed, these spores can grow out and produce a deadly toxin (poison) in room-temperature stored jars of the low-acid foods mentioned. You have two choices for type pressure canner: a dial gauge canner or a weighted gauge canner. Most steps in managing the pressure canning process are the same, but the two styles have different types of gauges to indicate the pressure inside the canner. Expect to spend $100-$150 or more on a pressure canner. If you use a dial gauge canner, then it’s important to have the gauge tested for accuracy before each canner season or if you drop or damage your gauge. It isn’t as easy as it used to be to get gauges tested. Try a local hardware store or your local Cooperative Extension agent, even though not all still provide this service. For either type of canner, check that the rubber gasket is flexible and soft, and if it is brittle, sticky, or cracked then replace it with a new gasket. Also check that any openings, like vent ports, are completely clean and open. You’ll also need jars, lids, and ring bands for canning. When getting started, new jars are a worthwhile investment (versus purchasing used jars from a yard sale or flea market) because very old jars may break under pressure and heat. Mason-type jars of standard sizes (e.g., half-pint, pint, and quart) for the tested processes available from science-based sources such as USDA and your land-grant university are recommended. Make sure those jars are manufactured and sold for canning purposes; not all glass and Mason-style jars are tempered to prevent breakage with the extreme heat and temperature swings during canning. When you actually get to canning your harvest, be sure to follow manufacturers’ advice for preparing your jars and lids. In addition to standard cooking utensils like cutting boards and bowls, a jar funnel, jar lifter, lid wand, headspace tool, and bubble-freer are items that you will want to have handy for canning. If you are freezing your harvest, be sure to use packaging such as plastic bags or rigid containers that are intended for freezer storage of foods. Not all plastics are the same, and you want materials that will hold up to freezer temperatures as well as protect your goodies from damaging air and mixtures of odors. Growing your own? You may be lucky enough to have previously started keeping garden records so you remember the name of that great tomato or pepper variety you have liked this past year. If not, think about planning to keep records this year. A garden journal might include variety, seed source, date planted, date harvested, notes on how it grew and resisted disease, and your personal evaluation of the crop. A final must is reliable, up-to-date canning and other food preservation instruct ions. Specific kitchen equipment or ingredients could be needed to follow directions as they are written for food preservation. And in the case of canning especially, very significant food safety risks by following unsound recommendations. Reliable, up-to-date canning instructions are available at the NCHFP website, the USDA Complete Guide to Home Canning, So Easy to Preserve, or the county or local area Extension office in your state. This entry contains information from Keep A Garden Record Book—Thomas Jefferson Did by Wayne McLaurin. This entry was posted in Canning, Freezing, Seasonal Food Tips, Uncategorized and tagged boiling water canner, Clostridium botulinum, low-acid foods, pressure canning, preventing botulism on April 22, 2016 by nchfp. Not known for their fragility, potatoes are a robust, starchy tuber in the nightshade family (along with fellow Solanaceae family members tomatoes, eggplants, and peppers). 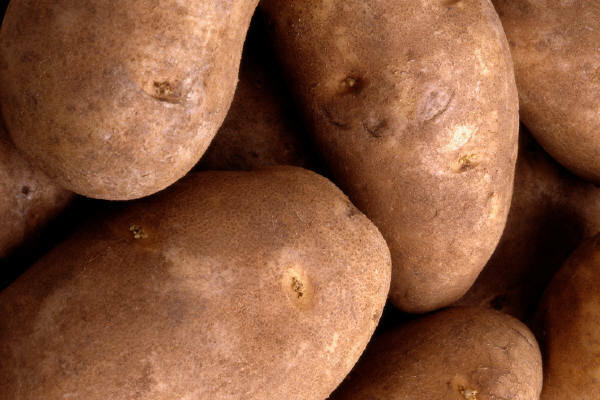 Potatoes pack a nutritional punch, weighing in with substantial amounts of potassium, fiber, protein, vitamin C, Vitamin B-6, Magnesium, and a lesser but still notable amount of Iron. It’s easy enough to store fresh white potatoes for up to 2 months in a cupboard kept at 50-70°F (sweet potatoes last only 2-3 weeks). But what if you want them to last even longer? Interestingly, storing white potatoes in a refrigerator is likely to diminish their quality and they are expected to last only 1-2 weeks there. Alternatively, you could cook and mash them, stuff them, or scallop them for freezer storage, but again, they will retain best quality only for a few weeks in the freezer. Drying is an option for making potatoes last longer. Wash, peel, then cut potatoes into 1/4-inch thick shoestring strips, or cut into 1/8-inch thick slices. Steam blanch the prepared pieces for 6-8 minutes or water blanch them for 5-6 minutes. Plan for a drying time of 8-12 hours in a dehydrator and up to twice as long in an oven, depending on circulation. If you dry sweet potatoes and want to rehydrate them for a recipe, combine each cup of dried pieces with 1-1/2 cups water and let them soak for 30 minutes. As for canning potatoes, our recommendation is to peel potatoes before canning. That style of preparation is how the research was carried out to determine the recommended processing, and in order to know that the peeling does or does not make a difference, research would need to be done with unpeeled potatoes. Different assumptions might be needed in assessing just how many spores of C. botulinum or other bacteria might be present at the start of the process and what amount of heat might be needed to meet standards for the risk of possible survivors. We do not know of research of canning potatoes with peels left on, so we recommend the preparation steps provided with the process recommendation, especially because there is a possibility that the deviation could result in a less safe situation. Also due to safety concerns, it is important to use potatoes that are only 1 to 2 inches in diameter if you are canning them whole. These are sometimes described as “new” potatoes; the idea is to use less mature, smaller potatoes which tend to be less starchy than older, “grown-up” potatoes. White potatoes for canning should be the “waxy” or “boiling” kind. Different types of potatoes have different amounts and types of starches and they react to heating differently. You want a potato that keeps its shape and texture well after a lot of heating, and not one that falls apart, becomes “fluffy” after cooking, and is better for mashing. Most red-skin potatoes are of lower starch than baking potatoes and work well for canning. Many white round potatoes with thin skins fall into this category with red-skin potatoes too. Russets are not good for canning but are good for baking (they have a high starch content). Yukon Gold may not be the best potatoes for canning. While they seem good for boiling, they do tend to fall apart when overcooked. From what we have read, there is a wide variety in the types and amounts of starches in blue potatoes, so not all blues are the same, just like not all white potatoes are the same in these characteristics. Sweet potatoes can be slightly larger, but medium-sized potatoes should be cut to fit in the jar in uniform-sized pieces. Note that the sweet potato pressure canning process time is significantly longer than for white potatoes. Sweet potatoes can have a sugar syrup for canning, if you like that style. But otherwise, all potatoes — white or sweet — should have fresh, boiling water prepared to pour over the preheated potatoes. Do not use the cooking liquid. That cooking water contains a lot of starch that comes out of the potatoes and the process time was determined using fresh boiling water to cover. The added starch can create a safety problem by slowing down heating of the potatoes in the canner, and it also creates a very unappealing pack with possible masses of gelled or congealed starches around the potatoes. If you have spoilage, this makes it very hard to see the signs of some spoilage. This entry was posted in Canning, Drying, Freezing, Seasonal Food Tips and tagged canning potatoes, drying potatoes, drying sweet potatoes, freezing baked potatoes, freezing mashed potatoes, freezing potatoes, freezing scalloped potatoes, potatoes, preserving potatoes, pressure canning, preventing botulism, sweet potatoes on October 6, 2014 by nchfp. In 1994, in Texas, 30 people were affected by an outbreak of botulism from restaurant dips made with baked potatoes wrapped in foil and left at room temperature (apparently for several days) prior to being used the dips. In this case, the spores of Clostridium botulinum (which are readily found in soil) survived the heating process (which is to be expected), remained moist, and were then so tightly wrapped in aluminum foil that oxygen was kept out of the packaging, creating an anaerobic environment in which the botulism toxin could form. Oil covering a food, as with garlic in oil, also creates an anaerobic environment. Not even processing your homemade salsas but putting them in tightly sealed jars (again, an anaerobic environment) left at room temperature is a big risk. Botulism could result if the salsa is too low in acid, and other problems besides botulism could occur even in more acid salsas. Tomatoes (and figs and Asian pears) are borderline pH foods, so we see recommendations to add some acid to jars even before treating them as boiling water canned foods. Fermented fish and fermented vegetables that do not finish fermenting to a truly acidic pH are other examples of foods that might not be acidic enough to prevent the botulism-causing toxin from forming. Another situation that has caused botulism is pickled eggs left at room temperature. In 1997, in Illinois, a 68-year-old man developed symptoms of botulism – double vision, inability to speak, difficulty breathing – that was traced back to homemade pickled eggs. Testing confirmed the presence of type B botulism toxin. To prevent the toxin from forming, pickled eggs should be stored in the refrigerator and only be at room temperature for serving time; limit their time in the temperature danger zone (40 degrees F to 140 degrees F) to no more than 2 hours. Pickled egg recipes and storage guidelines can be found on the NCHFP website. Early in 2011, two people got botulism from eating commercially made potato soup intended for refrigerator storage but kept in their homes at room temperature. One case was in Georgia and one in Ohio. Both people bought the soups from a refrigerator case, left them out of the refrigerator at home for a long time and then tasted them. Bad decision! Each individual spent a long time in the hospital and then were transferred to rehab facilities with respiratory issues. Unfortunately we do not know the ultimate outcome today. Awareness and action is the key to prevention. 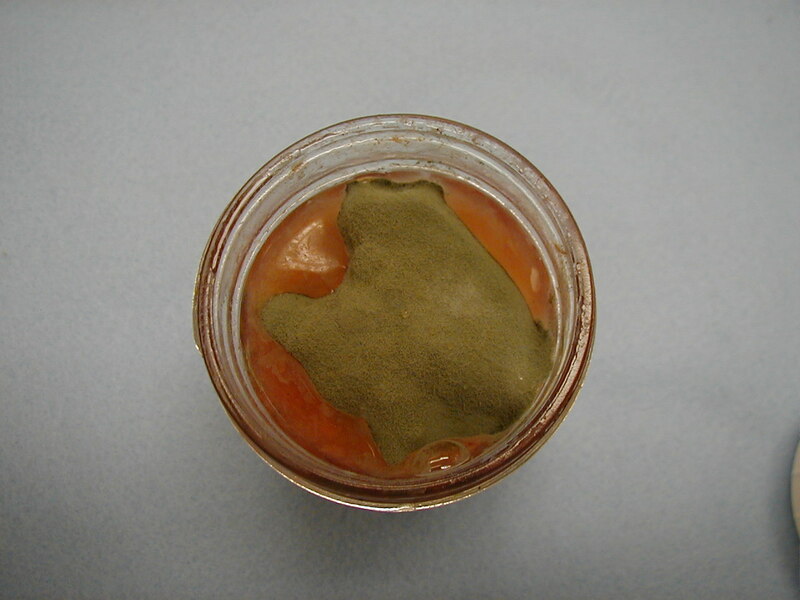 To avoid botulism, avoid the risk of containing C. botulinum in a low acid, moist, anaerobic environment and if you do so (you canners out there know who you are), then be sure to process your low-acid food products in a canner equivalent to at least 240 degrees F (achieved when your pressure canner reaches the recommend amount of pressure, after venting, for your altitude) for the recommended amount of time. Click here to view the full article of ‘Foodborne Botulism From Eating Home-Pickled Eggs —Illinois, 1997‘ from the Centers for Disease Control and Prevention. Here is the full publication ‘A Large Outbreak of Botulism: The Hazardous Baked Potato‘. And here is the short story of botulism from potato soups in 2011. This entry was posted in Canning, Food Safety and tagged botulism, Clostridium botulinum, foodborne illness, low-acid foods, non-canned foods, pressure canning, preventing botulism, preventing foodborne illness on November 26, 2013 by nchfp.